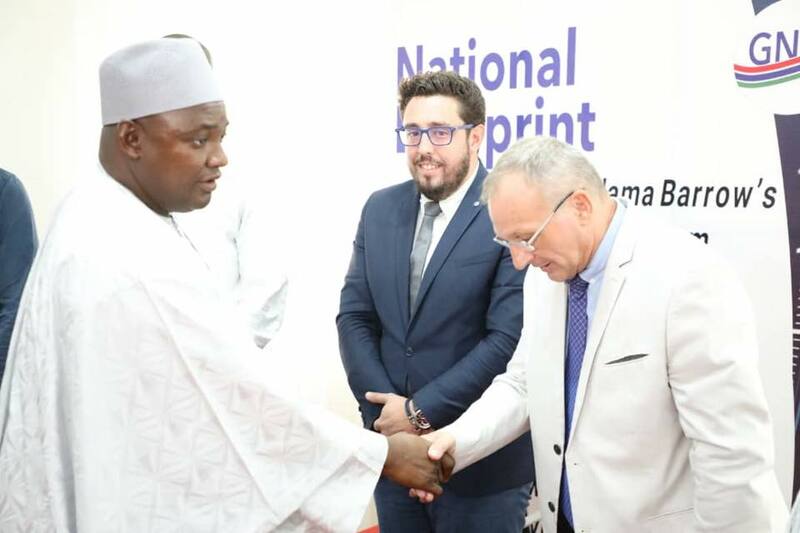 SEMLEX ID Boycott – Why President Barrow may be the last to worry? You are at:Home»News»SEMLEX ID Boycott – Why President Barrow may be the last to worry? 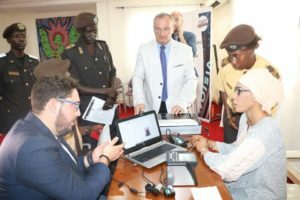 On Friday 21st September 2018, President Adama Barrow announced that Gambian Identity documents will be processed by Belgian company SEMLEX and made available for purchase on October 1st, 2018. This decision coming after immense pressure from inside and outside the country for The Gambia to sever ties with SEMLEX who are currently being investigated for money laundering, fraud and corruption. The outspoken lawmaker boldly declared that if the President fails to look into the matter he “has conducted himself in a manner which brings … the office of President into contempt or disrepute; as it known that Semlex as [a]company is under investigation in many countries.” If Gambian national assembly members pursue this course it could lead to the commencement of impeachment proceedings. In this regard, there has been a huge reaction from Gambians across social media over the manner in which the Government has handled the SEMLEX issue. Now deceased, the owner of Pristine Consultants, Dramman Touray, was in a key position to deliver the printing of Gambian identity documents. Unfortunately, the Gambian businessman was cold-shouldered from the deal with officials opting to proceed with SEMLEX instead. This decision was a shock after numerous advice inside and outside the country and the significant issues other African countries have suffered in the hands of this Belgian company. 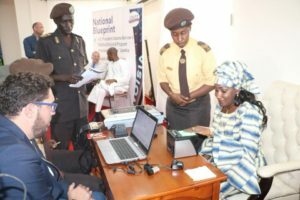 This Monday, Gambians commenced advocating for a boycott of all SEMLEX identity documents because of the perceived corruption and cost. It’s alleged that Gambian ID cards will be sold for D450 Gambian Dalasis with passports costing considerably more. If every Gambian (2 million) pays D450 for an ID card that could generate a grand total of D900 Million GMD. 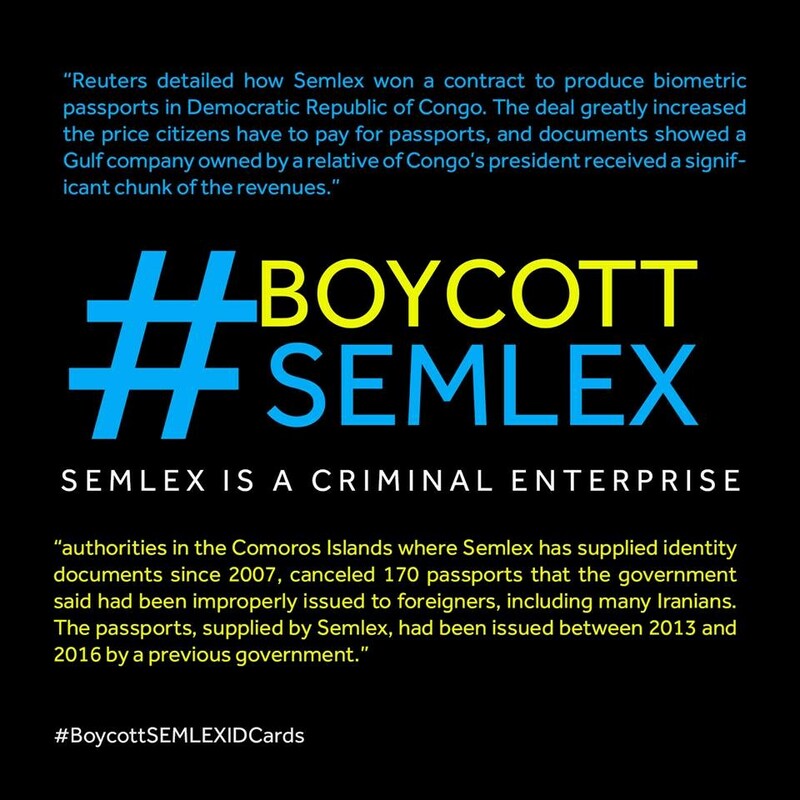 More importantly, any Gambian applying with SEMLEX is giving their information to a fraudulent company known to sell passports to foreigners and using kickbacks to secure contracts in Africa. There is another value that many Gambians may not be aware of. In the world of information technology personal, sensitive information on people is very valuable and can be sold for a huge profit. Will the National Assembly respond appropriately? 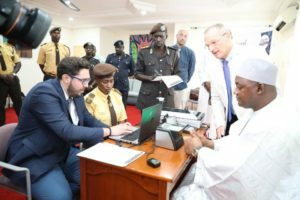 At the moment it seems President Adama Barrow, pictured above providing his personal data to SEMLEX, may not be aware of the gravity of the situation. At the end of the day, how this standoff pans out will speak volumes on the strength and independence of Gambian Institutions, with focus on the National Assembly expected to provide oversight of the Executive. At this rate, President Adama Barrow might be the last Gambian worried when impeachment proceedings commence on his Presidency.